From the outside, Angie has an ideal life — a good job, a nice apartment, a loving family. But no one on the outside knows about Toby Benson. Greedy, manipulative, ruthless, his cool plastic eyes watch Angie’s every move. By all appearance an adorable plush dog, he has the soul of a loan shark, and now Angie may have no choice but to pay him whatever he demands. But what will it cost? Her family? Her sanity? Or even more . . . ? From the outside, Angie has an ideal life — a good job, a nice apartment, a loving family. 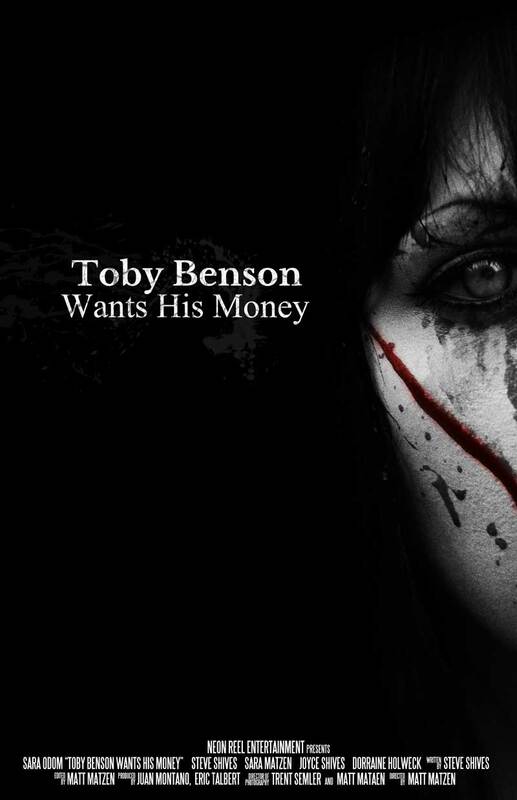 But no one on the outside knows about Toby Benson. Greedy, manipulative, ruthless, his cool plastic eyes watch Angie's every move. By all appearance an adorable plush dog, he has the soul of a loan shark, and now Angie may have no choice but to pay him whatever he demands. But what will it cost? Her family? Her sanity? Or even more . . . ? We love meeting new people! Seriously, we’re not kidding, so click on something. Can we have your e-mail address? Want to receive updates about our projects, or other miscellaneous tidbits about the indie film industry? Sign up below.